Another successful Rescue 3 international IT meeting down. 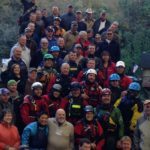 A few weeks ago, Rescue 3 instructors from the U.S. and abroad gathered at the Nantahala Outdoor Center for a week of…..
Our riverboard trip this year was a combination of past participants, friends, and parts of one of the oldest river running families running in Grand Canyon, the Smiths’. 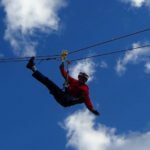 Michael Bronstein…..
We here at Sierra Rescue are dedicated to providing the best instruction in Technical Rope Rescue, Swiftwater Rescue, and Wilderness Medicine. 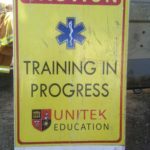 We love our jobs and thrive on the student…..
Strainer Face: Up Close and Personal This past spring our strainer swim self-rescue drill (aptly named ‘Strainer Face’) became a prominent feature in our social media and photo posting. 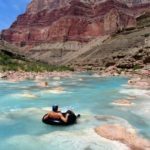 For…..
As a child, I found myself surrounded by incredible whitewater paddlers and slalom athletes. Richard Fox, 5 Time Slalom Kayak Champion, once told me that most people had it all….. 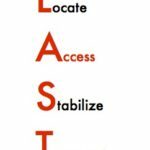 If we were to look at the total time spent in a river rescue, then divide the amount of time spent of each part of the rescue: Locate, Access, Stabilize,….. When the discussion of a rapid scout comes up, Students in our courses frequently ask for clarification, hoping to better understand the judgement behind the call to stop and scout,…..
Time to put on those thinking caps. 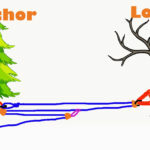 I’ve drawn up a few sketches of mechanical advantage systems to test your brains today. Perhaps you’ve been following our #weeklyMA on facebook…..
As whitewater boaters, our goal should always be to stay on line, and keep ourselves, and everyone else IN their boat(s). A swim can be much more strenuous and dangerous…..